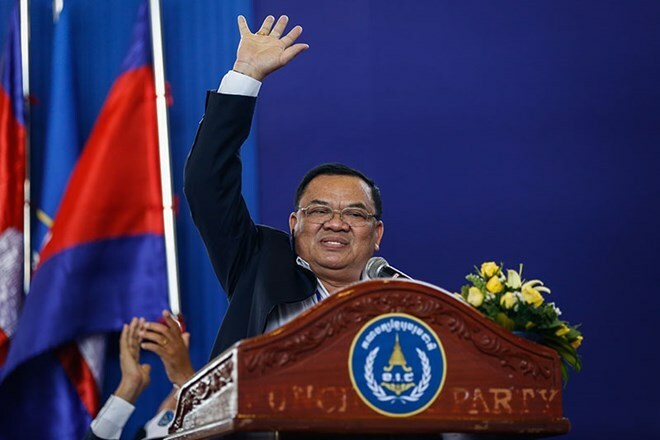 Phnom Penh (VNA) – Former Cambodian Deputy Prime Minister and President of the Khmer National United Party (KNUP) Nhiek Bunchhay has been arrested for links with drug production in Kampong Speu province in 2007, according to Cambodia’s most visited newswire Fresh News on August 3. General Neth Savoeun, National Police Chief of Cambodia, confirmed that the police made the arrest in compliance with the court’s order. In 2007, the police raided a major drug farm owned by Chea Chung, advisor of Bunchhay, and found materials for drug production. Currently, Chea Chung, two Chinese and one Thai national are on jail on charge of drug production. Earlier on June 4, King Norodom Sihamoni signed a decision to strip Bunchhay off his Deputy PM position.